Dr Andrea McGlade is a specialist paediatrician who works with children who are dealing with the most complex developmental, behavioural, medical and mental health issues, including trauma. Her expertise extends well beyond making the diagnosis to support children and their families long-term. She considers it crucial to unravel the how and why each child interacts within their world and she uses a self-regulation framework to both understand the inner logic of what drives a child’s behaviour and actions, and what works for each child to be calm and best learn and achieve their potential. Dr McGlade recognises the steps to take and leads and empowers children to achieve their very best in every aspect of their lives. This includes educating parents and assisting them to both understand the complexities and to manage them on a daily basis. Dr McGlade graduated from Monash University in 1998 with a Bachelor of Medicine, Bachelor of Surgery (MBBS) with Honours. 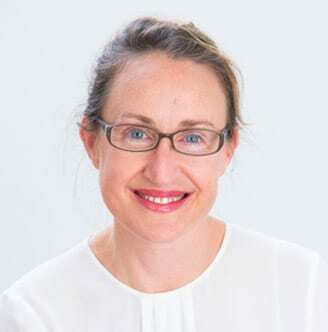 She became a Fellow of the Royal Australasian College of Paediatrics (FRACP) with dual accreditation in general and community paediatrics, and completed her Masters of Public Health (MPH) at the University of Queensland in 2008. She has worked in a range of public and private health settings, including with urban and remote Aboriginal families. She is enrolled in a PhD at the University of Queensland to further her research in early life trajectories and developmental vulnerability, particularly ASD. Her clinical work – walking the journey with parents over time – was the inspiration for her research thesis. Dr McGlade entered the medical profession initially because she had an interest in the science but quickly discovered her passion when studying paediatrics. Developmental paediatrics also allows her to invest in her impressive toy collection, lovingly collected and employed in her informal developmental assessments. She also has two obliging children who act as her rigorous toy testers. Dr McGlade understands that parenting is difficult enough without the additional challenges that come with a child that doesn’t fit the box. She considers it a privilege to work with children and families, and the trust of parents that is inherent in the process. Her empathy coupled with her insight sees her deliver compassionate care and support. Please ensure you have a referral from your general practitioner to be able to access Medicare rebates. Unfortunately medical practitioners are unable to attract reimbursement through private health cover or NDIS packages. Families may be able to apply for additional support and brokerage funding through Parent Connect, which have services in North Brisbane, South Brisbane and Ipswich.